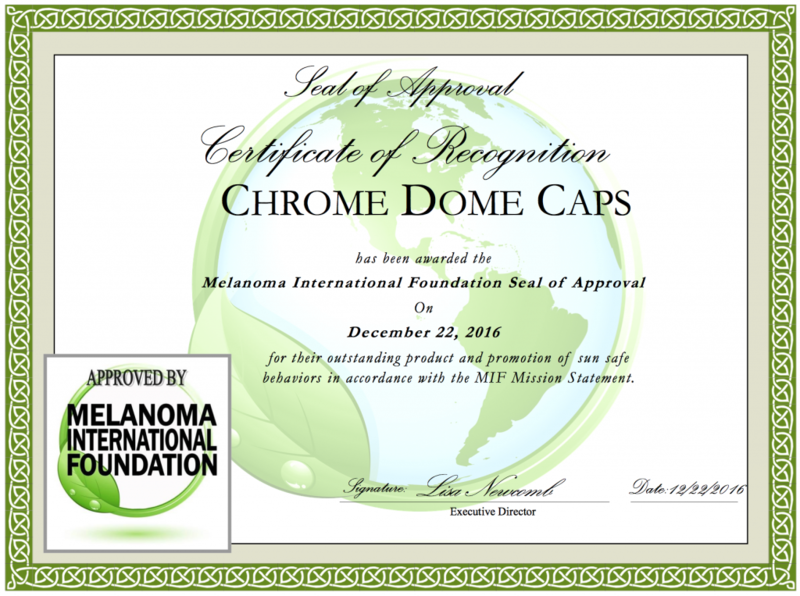 Chrome Dome Caps is proud to announce that our caps have been awarded the Melanoma International Foundation’s Seal of Approval for providing quality sun protection! All of our caps were tested and approved to fit the guidelines set forth for the certification including the original Chrome Dome Cap, our cap with reflective loop, and the Chrome Dome BIGGER. 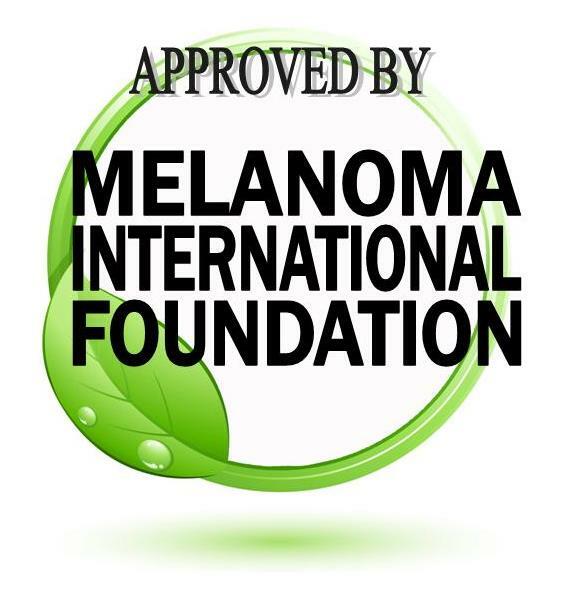 The Melanoma International Foundation provides strict guidelines for products to meet their quality approval standards. In order to receive the seal of approval, our caps had to be scientifically tested in an independent laboratory. “These are excellent fabrics – I even tried to stretch them to see if the UPF fell drastically and it did not,” said Drew Hmeil of Solar Light. Melanoma International Foundation (MIF) shares a similar story to Chrome Dome Caps in that they were both created by their respective founders after a skin cancer diagnoses. MIF was founded as a non-profit in 2003 with the mission to provide guidance on sun exposure based in scientific fact. Learn more about their work with melanoma awareness, prevention, and coping strategies. Similarly, the first Chrome Dome Cap was created by Joe Murphy after a basal cell carcinoma diagnoses. Wanting to maintain is active, outdoor lifestyle, Joe looked for a cap that would provide the sun protection he needed. When his search came up short, he created his own cap and Chrome Dome Caps were born. Learn more about the Chrome Dome Caps creation story. Since the original black Chrome Dome Cap was created, we’ve expanded the product line to include caps in orange, white, and pink, as well as creating versions with a reflective loop on the back and the Chrome Dome BIGGER with a little extra room. All caps are certified UPF 50+ and are known-harmful chemical free. “We are so pleased to be awarded this certification. I’ve always believed in using high-quality, sustainable products to create Chrome Dome Caps to ensure that they provide the best sun protection possible,” said Joe. Want to get your hands on one of our awesome caps? Head over to the Chrome Dome Shop!